Studio monitor headphones tuned with complete clarity and comfort. 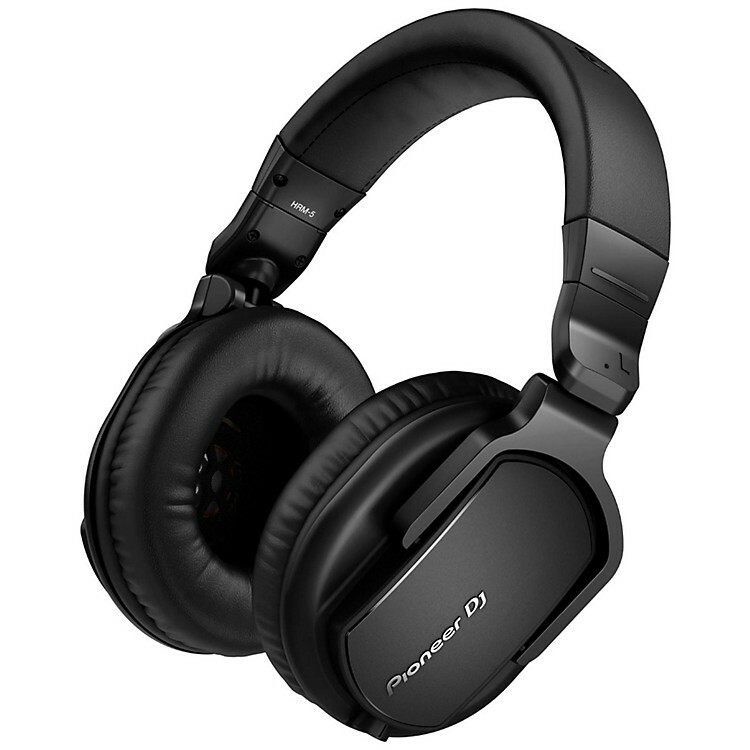 Pioneer HRM-5 studio monitor headphones have been built specifically for all stages of the music production process. Their design ensures a pristine sound and comfortable fit during recording and mixing. The HRM-5 delivers a powerful sound across frequencies up to 30kHz, and has a maximum input of 1,600 mW. The 40 mm driver units faithfully reproduce frequencies of up to 30 kHz, so you can hear every detail of your tracks. Plus with a maximum input of 1,700 mW distortion is reduced to a minimum even at high volumes. Bass reflex chambers in the housings improve airflow to deliver an excellent bass response and sound insulation, while a large rare-earth magnet ensures clean low to mid frequencies. The HRM-5s come with a 1.2 m coiled cable (3 m when extended) and a 3 m straight cable both providing an optimal performance during recording and mixing.